HiQ launches courtesy car scheme | What Car? Motorists who have tyres fitted at HiQ Fast Fit will be offered a courtesy car while the work is carried out. The scheme had been launched with Goodyear Dunlop. 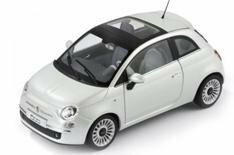 [Fiat 500s in high-level Lounge trim will be offered while work is done on customers' cars. Courtesy cars will be free, and come with insurance and](https://www.whatcar.com/car-reviews/fiat/500-hatchback/summary/25721-5) winter tyres during the colder months. HiQ expects all of its franchised centres to take part in the scheme. However, the firm says availability and terms and conditions apply at individual centres.